On the 1st of January 2017 the RUCIP European Committee secretariat will be effectively transferred from Paris to Brussels. From the same date a new set of Rules and Practices of the Inter-European Trade in Potatoes (RUCIP) will also start to apply. 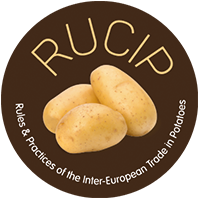 The RUCIP European Committee, composed of the European associations Europatat (Potato Trade), EUPPA (Potato Processing) and Intercoop Europe (Cooperatives), has validated in November 2016 the new version, more commonly known as “RUCIP 2017”. For all disputes on contracts signed after the 1st of January only the RUCIP 2017 version will apply. The first European rules were established as early as 1956 through the efforts of the European Union for the Wholesale Trade in Potatoes, in defining professional practices and setting up a simple and efficient procedure for expert assessments and arbitrations. RUCIP has been amended several times since then, in 1972, 1986, 1993, 2000, and 2006. A profound revision was made and came into force on 1 March 2012. The modifications contained in the new RUCIP 2017 version focus strictly on the transfer of the European secretariat to Brussels and on the possibility to create European lists of Experts and Arbitrators for the countries that do not have a National RUCIP secretariat. Both the transfer of the secretariat and the new rules will become effective on 1 January 2017. The new RUCIP 2017 will be available for free in English, French and German on the newly created website of RUCIP (www.rucip.eu) as well as following the link to this website from the Europatat own site (www.europatat.eu). The document will also be available in other languages via the national RUCIP secretariats. A clear objective allowing harmonised practices between operators, while respecting their specific features: definition of early potatoes, seed potatoes, potatoes for processing and ware potatoes. A global view with regard to the rules of contract formation, its application, its control through expert assessments and the sanction of the contract through arbitration. A transparent organisation on a European level through the establishment of a European Committee, National Committees in all countries that recognise the RUCIP, national delegates and secretaries which have the capacity to organise expert assessments and arbitration commissions. A body of experts and arbitrators with technical competence and a consistent methodology at European level. The accuracy, particularly through the definition of time limits and the rules regarding formal notice and termination of a contract, in the framework of its enforceability. These main principles allow clarifying the contractual relations between operators active in the import and export of potatoes. The procedure is simple and uniform for those countries participating. The procedure is fast and avoids congestion in the courts. The confidentiality in the cases and verdicts allows European operators who are working in a professional environment where everyone is concerned about its reputation to settle their dispute in total secrecy.